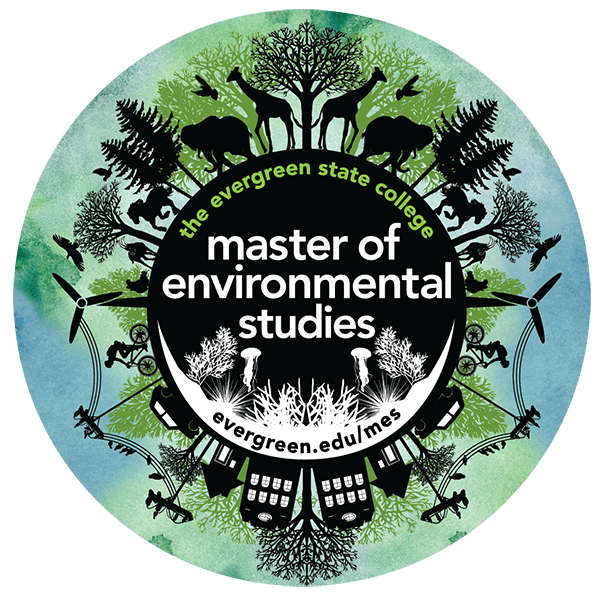 Storming the Sound is a conference for environmental educators in the north Puget Sound region, including the counties of Whatcom, Skagit, Snohomish, Island, Jefferson and San Juan. Every January teachers, environmental organizations and students gather in La Conner to share their interest and expertise in environmental education. Do you have any cool new and relevant research you’d like to present? What about innovative and exciting curricula or activities you’d like to share? If you have presentation ideas, have topics that need discussing, or challenges that need solving, please send us a proposal! Proposals can be submitted to Jenny Smith here. Please include your topic, a brief description for our website, and the name and affiliation of presenters. The deadline for presentation proposals is December 1, 2018. Storming the Sound invites educators who are involved, interested and passionate about the environment to come learn from and share with one another. Formal and informal teachers, students, and regional organizations enjoy interesting and relevant workshop sessions, networking opportunities, and lively discourse at this annual, one-day conference. Teachers – clock hours are available! Washington State Teacher Clock Hour Credits (7) will be offered for free. Just ask at the registration table when you arrive at Storming the Sound. Need a substitute? Qualifying teachers are eligible for grant funds to cover the cost of your sub! Apply here. You will need to register through Eventbrite using the links below, but you have a choice to pay on-line with a credit card, or if you want to pay at the door with cash or check, just register using the”Pay at the Door” option. Storming the Sound will be at Maple Hall in La Conner from 9:00 to 4:30 on Thursday January 24, 2019. Doors will open at 8:30. Please plan on arriving no later than 8:45 to avoid a bottleneck at the registration table. Upon arrival, participants will be asked to select the sessions they wish to attend. To be prepared, please check out the Agenda and make sure you know What to Bring. Storming the Sound is made possible with the generous support of our sponsors. 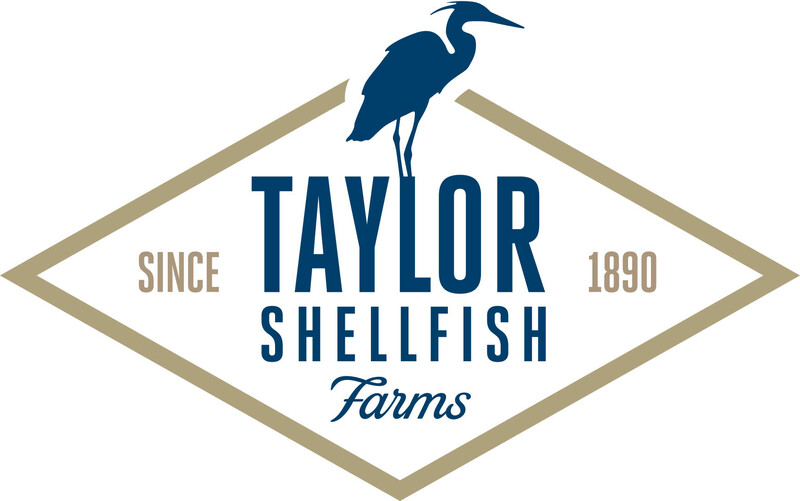 Please let us know if you would like to be a sponsor for our 2019 event! Please contact Kat McCarroll for more information about sponsorships. Storming the Sound will be held at Maple Hall in La Conner in Skagit County. Knowledge of what’s on the agenda. Be prepared to select the sessions you wish to attend. Conference stuff (t-shirts, mugs, ect. that you have received from other conferences but don’t need) for the “SWAG Swap” (you put your unwanted stuff on the table and take something you want). Take I-5 to Hwy 20 (just north of the Skagit River and Mount Vernon). Take Hwy 20 west toward Anacortes about 5 miles to the stoplight at the Farmhouse Inn Restaurant. At this intersection turn left (south) onto the La Conner-Whitney Road. In about 4 miles, at the roundabout, take a right (west) onto Morris Street. Take Morris all the way to the end at the water (Swinomish Slough). Turn left (south) onto First Street (the main north-south street in La Conner). Take First all the way to the south end and you’ll run into Maple Hall (104 Commercial). Take I-5 to exit 221 (Conway, Highway 534). Turn west to go over the freeway then at the roundabout take the second exit for Fir Island Road. Stay on Fir Island Rd for about 5 miles and you’ll go over a bridge (after the bridge the road name changes to Best Road). From the bridge go 3 miles and turn left onto Chilberg Rd. Follow the signs to La Conner. You’ll find a roundabout as you enter La Conner. Continue straight on Morris Street (opposite side of the roundabout) about a half mile to the end at the water (Swinomish Slough). Turn left (south) onto First Street (the main north-south street in La Conner). Take First all the way to the south end and you’ll run into Maple Hall (104 Commercial). Limited parking is available on the street so we recommend using the city lot that is on Moore Street (about two blocks east of Maple Hall). When you are at Maple Hall look to the east and you’ll see the “Parking” sign. If you place the “Event Parking Pass” on your dashboard, parking is FREE for registered participants. Click here for your parking pass. We all know that to raise leaders of tomorrow, we need constantly to identify those who are keen, energized, passionate and smart, and to enrich their resources and learning environment. But these aren’t normal times. Bolder, more ambitious teaching seems called for. The environment our students inherit may not much resemble the one we know. So what’s the right balance between inspiration and marketability – giving students that rarified, inspiring incubator, versus giving them practical, marketable skills and approaches just to help them survive in a market economy? I’ll share lessons from teaching in southern Africa over 34 years – mainly graduate university students, mid-career professionals and the public, but also some middle-school students – and what this taught me personally about social change, environmental change, and the tipping points that teachers can help build in the next generation. 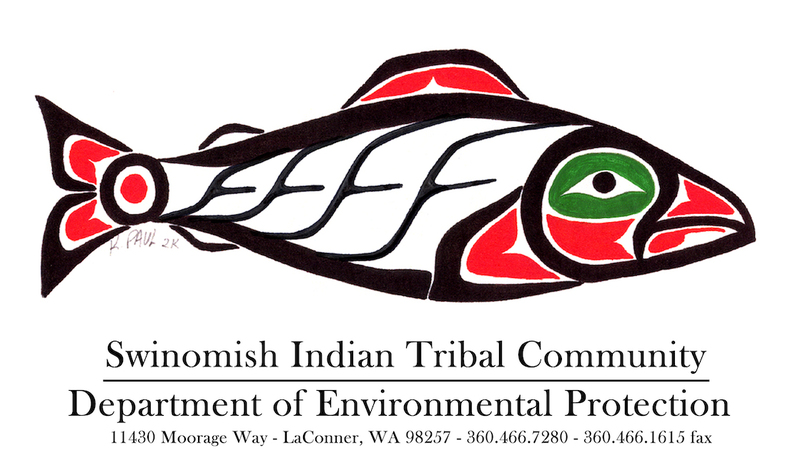 Description: This session will: discuss the connection of Swinomish culture to the environment; several case studies of placed based science, research, and habitat restoration on the Swinomish Reservation; examples of our environmental education efforts in the community; and, ways we are looking to develop Swinomish specific Since Time Immemorial science and natural resources curriculum. Using examples from 20 years of problem based applied learning experiences; the presenter will guide attendees into recognizing and creating program features that help students prepare to meet the Performance Expectations of the Next Generation Science Standards (NGSS). Examples will be drawn from a variety of classroom and field trip experiences and will provide guide-points for evaluating, aligning and supporting student experiences with NGSS. How do stories about the region’s imperiled orca whales, destructive weather and the changing climate get told? How has the need for those stories and the way they are shared changed over the past 20 years? Skagit Valley Herald environment reporter Kimberly Cauvel will provide a behind the scenes look at what it’s like to cover the environment beat and how stories are developed with photos from the field, a look at some recent coverage and how she uses social media to reach readers. She’ll also share how she became an environmental journalist and how the demand for the beat has grown, with a possible look back at environment news topics in the local newspaper 20 years ago. Have an environmental issue you’re passionate about, a favorite publication for environment news or even a story idea? Come prepared to share! Transportation has become the largest contributor to Climate Change in the U.S. People get excited about electric cars but they’re not for everyone. I’d like to help propose easy ways to shrink our carbon footprint, increase our quality of life and become a better person. Discover how we can draw more people into a car*less lifestyle by promoting active transportation and creating a party on public transit. Discover SeaDoc Society’s best-selling book, Explore the Salish Sea A Nature Guide for Kids and its accompanying, NGSS-aligned, action-packed curriculum. Learn about Junior SeaDoctors, how to get Kids on the Beach, and our STEM and TPEP Clock Hour-approved Educator Workshops. Network with environmental educators and classroom teachers to share your experience and/or hopes for building ocean-literate Salish Sea heroes. You will have the opportunity to add your enviro-ed offerings to our marine research support network for students. Getting students out of the classroom and into nature helps boost performance, critical thinking and creativity. Inquiry based learning in the out of doors can support classroom teaching of many NGSS cross-cutting concepts. Youth groups such as Scouts, Boys & Girls Clubs and Green Clubs also benefit from time outdoors, whether it is through community service or citizen science. But sometimes, obstacles get in the way – transportation costs, unfamiliarity with a natural site or the lack of tools to teach in nature. Let’s work together to overcome those barriers! Join Skagit Land Trust as we discuss how you can bring youth to one of our Conservation Classrooms. From a quiet trail through a 2nd growth forest in the foothills of the North Cascades, to a restored wetland near the center of Mount Vernon, these sites offer a perfect opportunity for environmental education and stewardship. 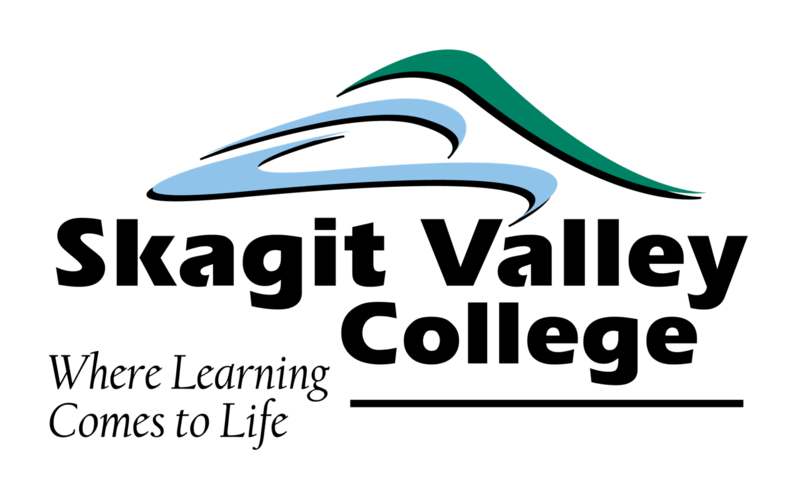 During this workshop, we’ll also have fun with an activity or two that connect Science, Technology, Engineering, Art and Math (STEAM) while learning how Skagit Land Trust has helped thousands of youth learn on the land. SURGE was a 3-month art exhibit exploring local climate change impacts. La Conner’s Museum of Northwest Art (MoNA) in partnership with the Skagit Climate Science Consortium hosted this event for the third time in order to continue to inspire community dialogue about this important issue. Artists collaborated with scientists for more than a year to delve deep into the local implications of climate change for glaciers, forests, rivers, coasts, and people in the Salish Sea region. The art that emerged from this exploration was powerful and catalyzed personal reflection and responses in ways that typical scientific communications can never do. SURGE is more than an art show: it includes education, school events, student art, panel discussions, lectures, and community events. This session will present both the science of local climate change impacts and insights into how museums, artists, educators, and scientists can galvanize a more productive public dialogue on climate change. This session will include panelists involved in the science and the art of climate change. In what ways has art inspired revolution, social change, justice, and liberation? I began thinking about this while listening to activist, environmentalist, and indigenous leader, Winona LaDuke speak at the Northwest Teaching for Social Justice Conference in 2018. Her notion of framing our focus and actions towards “making the world more beautiful” has informed my interest in how people, spaces, and movements, have been transformed, revitalized, or further connected to a more just world through art. In this session, consider what your “art” is and the ways you may and can practice justice in your work. This interactive, fast-paced session will give you simple tools for making your presentations effective and engaging. You will learn how to present visuals that have impact; deliver data in a way that sticks in people’s brains; and design PowerPoint presentations that won’t leave the audience feeling bored and disconnected. The session is grounded in scientific research and academic principles for how adults learn best. Cathy has given this presentation to enthusiastic audiences of agency educators, scientists, and communication staff. Her material comes from a class she teaches called “How to Explain Science, Share Data, and Build Trust: Presentation Skills for Scientists and Public Officials.” Cathy is the Coastal Training Program Coordinator for the Padilla Bay Reserve and Department of Ecology in Washington State. She recently received a national award for transformative communications. 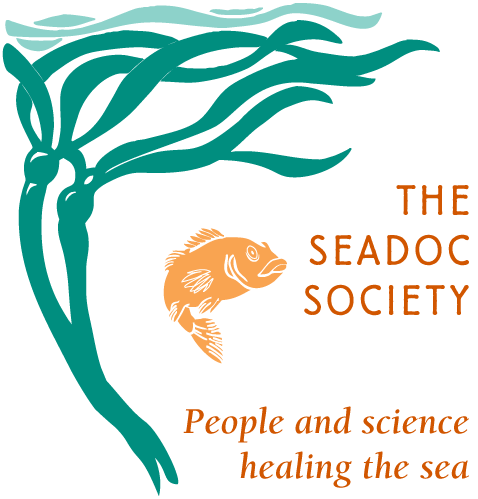 Learn how individual and collective actions nurture connection to the Salish Sea. Northwest Maritime Center, Port Townsend Marine Science Center and Sound Experience aboard the Schooner Adventuress will present information about their unique partnership, which works to create and deliver programming, to help connect people to place-based maritime education. Explore how our connection to water and maritime culture provide relevant opportunities for learning about ourselves and our place in community. Learn activities that help deepen student understanding of their role in protection of shared resources. Toxic chemical contamination of Puget Sound is a major threat to the Southern Resident Killer Whales (SRKWs). A big source of these chemicals are products like clothes, TVs, couches, and personal care products that we all use every day. But these same chemicals expose kids too, affecting their health and learning. Bold action is needed now to turn off the spigot of chemicals from consumer products to orcas and kids. • Major groups of chemicals and how they affect orcas and kids. • Easy activities you can do with kids to help them learn about toxic pollution. • Tips for reducing your use of and exposure to chemicals. • How to get involved and help Washington take bold action for orcas and kids. How do you get students excited about the marine environment? Through charismatic megafauna! Dolphins, whales, porpoises, seals and sea lions are a great way to peak students’ interest, providing an engaging path into the complexities of the marine world. Pacific Mammal Research (PacMam) conducts research on free-ranging marine mammals in the Salish Sea and provides quality educational opportunities for all ages. Our main study is the long-term photo-identification of individual harbor porpoises and harbor seals and is essential to understanding and conserving these species in the Salish Sea, because we cannot protect what we don’t understand. Through engaging, hands-on education we connect students with real-world science, increasing knowledge retention and generating excitement about STEM topics. This presentation will share more about PacMam, the research we conduct, what we know about harbor porpoises and harbor seals, and how we use these charismatic megafauna and our work to actively engage with students and teachers! In this session, we celebrate the history of Poulsbo’s marine science center (currently named the SEA Discovery Center) and will share marine curricula we are currently developing for students to conduct authentic scientific investigations in Liberty Bay and the classroom. Investigations can be tailored for any age group in grades K-12. This hands-on session emphasizes grades 6-12th. Expect to get your hands wet and be ready to investigate! There is significant evidence that environment-based education can become a significant part of the STEM solution. To meet the goal of fostering STEM understanding, we must rethink how we prepare and support our teachers and how we engage, motivate, and promote STEM to our K-12 students. The National Wildlife Federation’s Eco-Schools USA is a holistic program that strives to make environmental awareness and action an intrinsic part of the life and culture of a school. This global program is transformative, not additive; it is a transformation in your pedagogical approach to teaching. The Eco-Schools USA team has worked with the three major sets of national standards as they relate to science education, National Science Education Standards, the Next Generation Science Standards (NGSS), and the Common Core State Standards (CCSS) to assist educators in weaving the Eco-Schools USA program into the existing curriculum to support Green STEM teaching. It’s their future, so how do we get students (elementary, middle, high school) to ACTION? This session will give you ideas about sustainable school practices, conducting a waste audit, planning a Zero Waste event and students as ambassadors of change on the political side of the Plastic Reduction/Recycle Right issue. Presenters Britta Eschete, Anne Mortimer (via slide presentation), Callie Martin, Wayne Huseby and Carol Sullivan will share knowledge and experience, then participants can “brainstorm” with others for ways that students can educate their school communities with fun, challenging and effective projects that will make a difference. Concern for . . .
Their future . . . This session will explore the wealth of map data and information available through ArcGIS Online, provide simple steps to creating a variety of Story Maps and the use of GeoInquires to enhance teaching of environmental science subjects using map-based content. Where is Place in Environmental Education? Within the Environmental Education discourse, Place-based Education is one of many off shoots. However, the concept of “place” is often taken for granted and not fully actualized. This session will occur outdoors and participants will explore philosophies of place as suggested in various articles. There will be some individual reading*, small-group discussions, and large group activities as we explore the “where” of education. Most people know about the effects of Climate Change, especially on a global scale. How do you help students understand the causes – because that’s the understanding that can lead to solutions. We’ll try out three activities designed to clarify the links between burning fossil fuels and global/ local climate change effects, and then explore achievable, effective solutions. Do you want to know the latest details about how salmon recovery efforts or going in the Skagit? As well as what you as a citizen or your classroom can do to get involved in salmon recovery efforts? Join Skagit Watershed Council and Skagit Fisheries Enhancement group as we discuss salmon return numbers, past, present, and future recovery projects, ways to get involved in the recovery effort, and the successes of teaching about salmon in the classroom. We will discuss how educators can engage in stemming the flow of plastics into our oceans. Ocean plastic pollution is recognized as a global crisis, with eight million metric tons of plastics entering our oceans every year. So much of this plastic has a useful life of less than an hour but its harmful impacts continue for generations. Session topics will include the impacts of plastics on the ocean globally and locally. We will outline positive actions we can all take to help solve the problem. We will also discuss the need to double down on recycling plastics correctly to avoid recycling contamination. Currently, only a small amount of plastics are recycled. We will facilitate a brief recycling exercise so participants understand better the types of plastics that are recyclable. The first Storming the Sound was held at Padilla Bay Reserve in 1999. The idea caught on and now Storming the Sound attracts about 150 professionals. 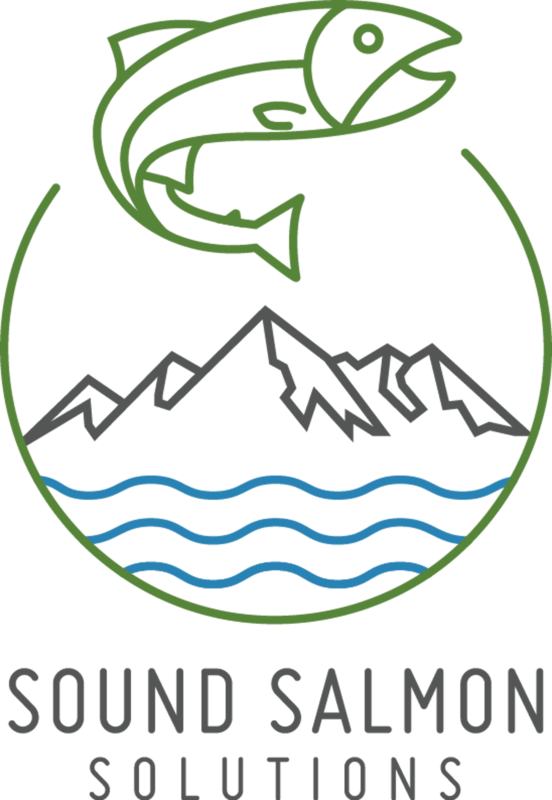 The conference primarily attracts environmentally minded educators and professionals from around the central Salish Sea region. Check out our photo archive of past Storming the Sound conferences!